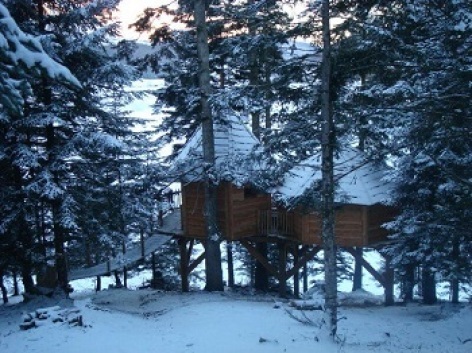 The three cabins are perched in century-old pine trees, on the shores of the mountain lake in Payolle. 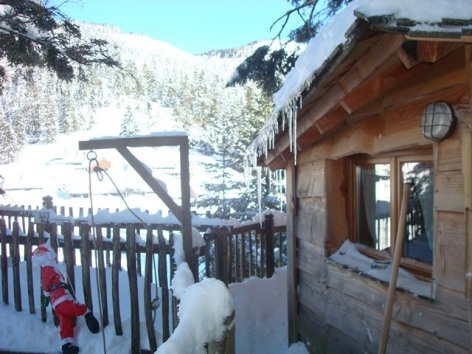 You will soon understand why Payolle is often described as the Little Canada of the Pyrenees. Perched at 5 meters in the Epiceas, heating, electricity, shower, toilet, kitchenette, well designed for an unforgettable stay. Its structure in the form of a mushroom gives it an exceptional and welcoming aspect. 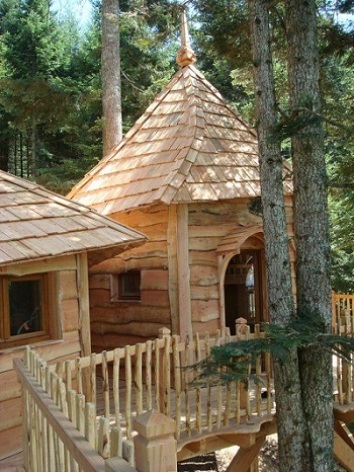 The 12 m2 offers accommodation for two adults and a child (double bed and mezzanine bed). 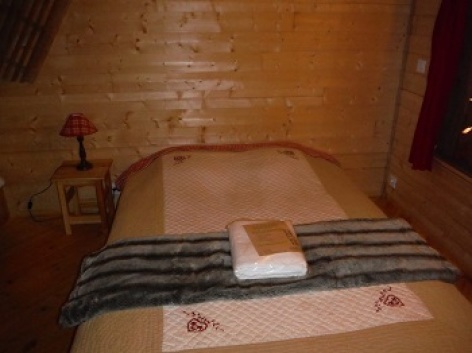 Its superb situation offers a magnificent view over the lake and the Pic du Midi. Lit by lanterns with a small water supply and a dry toilet, heating, it has everything you need for an unforgettable stay, recommended for romantics! 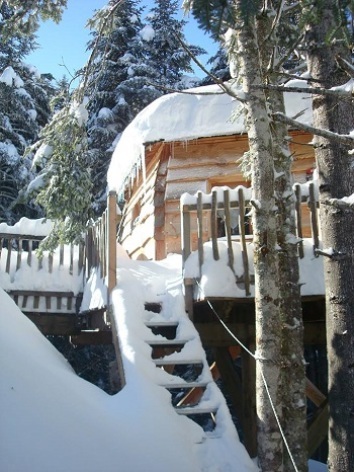 Suspended between 5 and 8 meters above the ground, the Montaigu cabin is the highest! 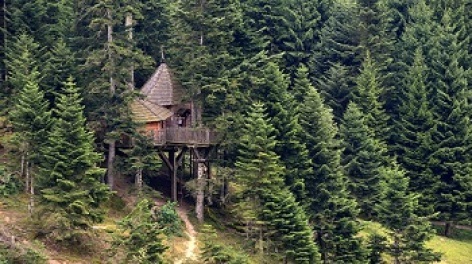 The trees which support this cabin and its terrace remind one of the summit of the nearby Montaigu mountain. two adults and two children can share the 20m2 of the cabin which has two 140 cms double beds, a shower and a toilet, kitchenette. It is heated in the winter to welcome couples or families. Surrounded by century old pine trees, the airy terrace will appeal to the adventurous! At breakfast time you must haul up your breakfast basket! 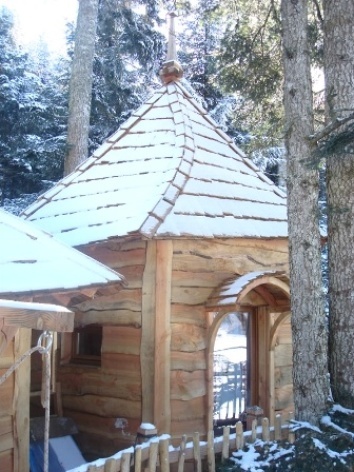 At 5 meters high in century old pine trees, the Pic du Midi cabin is designed to accommodate 2 - 6 persons. 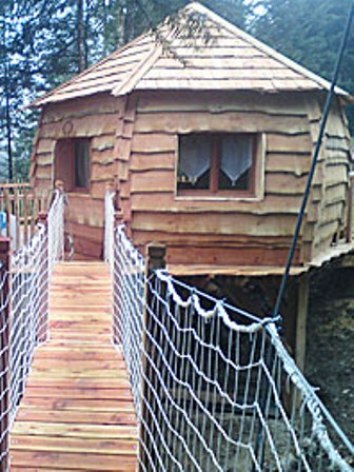 It has 3 x 140 cms beds and two child beds, toilets, shower and washbasin, kitchenette, heating. The two modules of 20m2 and 10m2 are completely safe, so both children and adults can live the adventure to the fullest. From the large terrace there is a splendid panoramic view, superb for admiring the sunsets. Suitable for families, couples and groups.